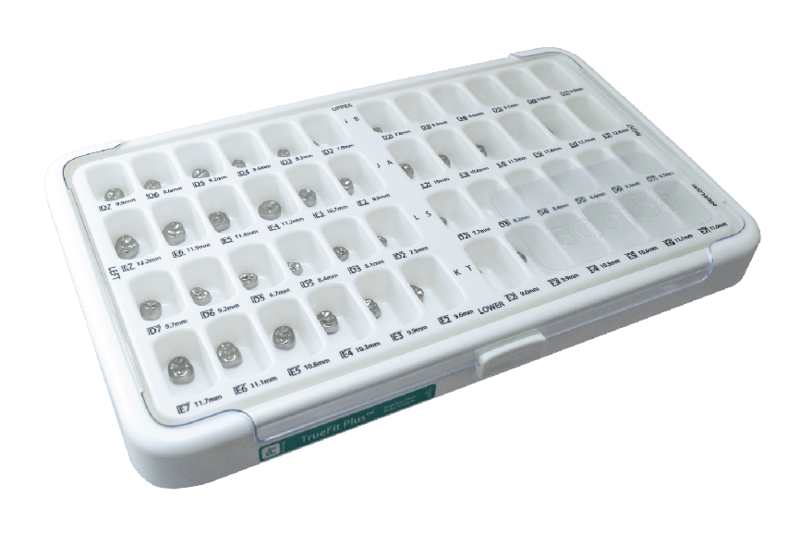 TrueFit™ Primary Crowns | Clinical Performance by Design. *Free shipping included for a limited time. Dental professional use only, additional Terms apply. No more dropping, cleaning, and re-organizing. TrueFit™ storage cases are lockable with closed cavities to prevent costly spills. TrueFit™ Plus crowns feature a pre-contoured & pre-festooned shape with a thick occlusal surface for quick and durable placements. D3| URD3 or B3? All covered. 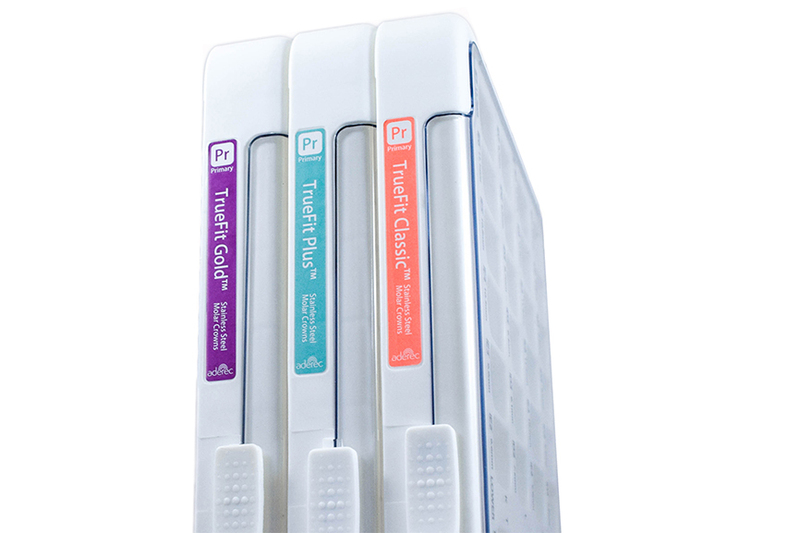 Save time and costly sizing mistakes with the TrueFit™ universal storage case. "Glad we made the switch." 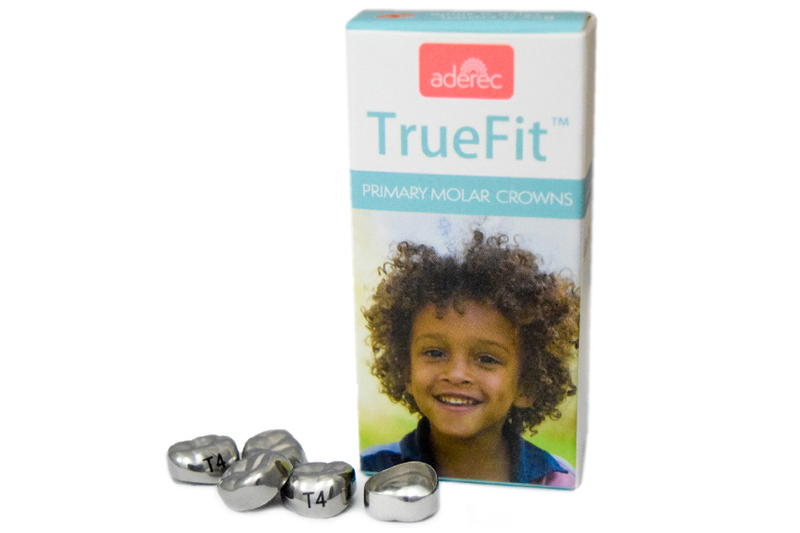 "We use Aderec Truefit Plus stainless steel crowns at our pediatric dental office and love the quality! Sizes are similar to other comparable products without having to relearn a new sizing system, making the transition to Aderec simple. Our assistants find the crown box with latch secure enough to turn over or move around without crowns shifting in the box. Amazing customer service and competitive pricing. We are so glad we made the switch to Aderec Truefit crowns! 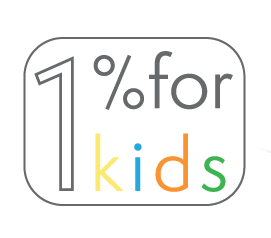 "I operate a small low cost kids clinic so price for crowns is important. I tried several ebay crowns but they were so inconsistent and questionable as to the source. I heard about Aderec's True fit crowns from a friend and WOW! They are perfect. They fit similar to other brand name crowns but are actually affordable and I know where they came from, the USA! I DO recommend them." The primary crown organizational case for everyone. 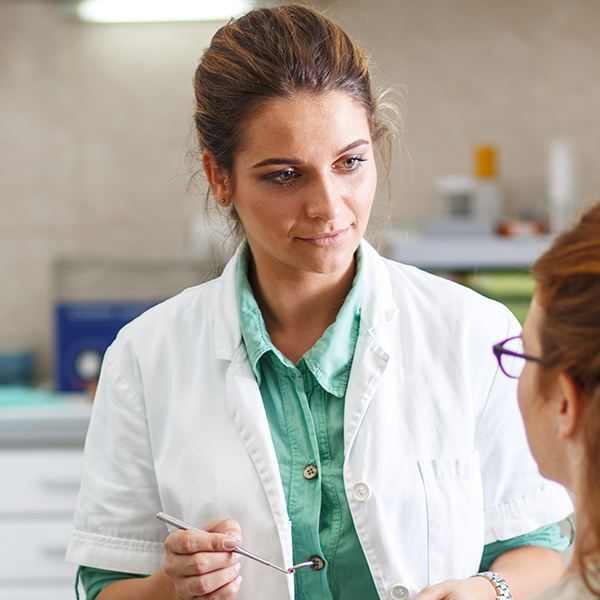 Unite your dental practice with tools that speak to all educational backgrounds. Up your efficiency today with Aderec TrueFit™ crowns. Introducing TrueFit™ Plus GOLD Pedo Crowns. Patients and families - learn more about why dentists use stainless steel crowns (SSCs). 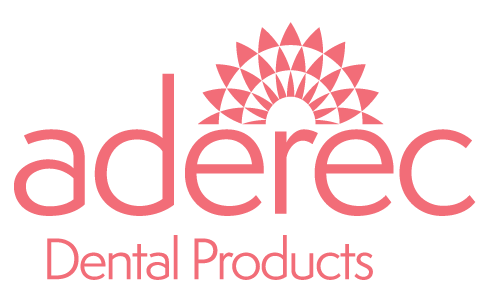 © Copyright 2017 Aderec Dental Products - All Rights Reserved.